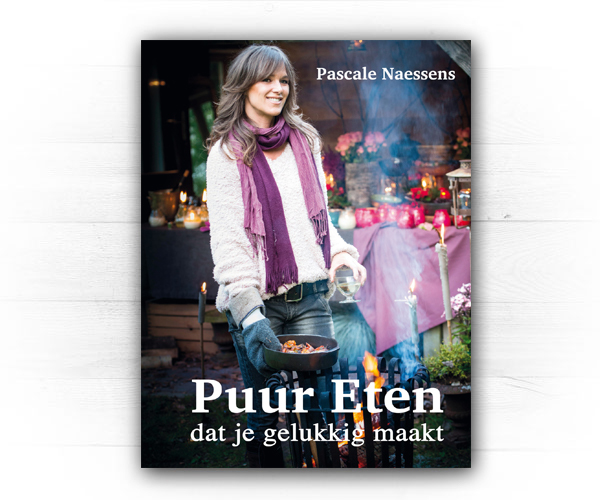 Pascale Naessens is well known to our southern neighbors, but until I received the book as a Christmas present, I had never heard of her before. Pascale is a model, presenter, has her own cooking program and has published other successful cookbooks full of healthy recipes. When I flipped through her book 'Pure Food that makes you happy', I immediately wanted to try something out. Especially because her way of eating - simple, no counting calories, very natural and eating as much as you like - appeals to me very much. Pure food makes them happy. Her recipes are original, nicely photographed and not too complicated to make. In between, she gives information about the use of carbohydrates, dairy products and good and bad fats. In short: Pascale takes you on a culinary journey through natural ingredients, tempting recipes and beautiful imaginations. The recipes that Pascale makes with legumes are: the lentil pâté and the Hummus of chickpea and beetroot. Inspired by the photo, in a briefcase on the go, I try the lentil pâté on page 62. I do not like meat pate, but when I take a bite of this vegetarian alternative with green lentils, I think for a moment that it tastes like meat. That is pretty good. And this tasty dish is also ready very quickly. Definitely try it out. 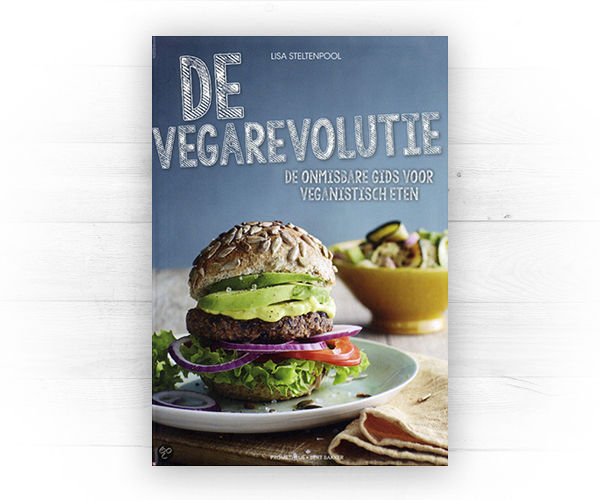 If you have the intention to live healthier, more animal-friendly, more environmentally friendly or simply to live more consciously and therefore also eat, then the book The Vegarevolution really a must! You can read how vegan food keeps you healthy and fit, how you can save a lot of animals and how problems around food can be solved. It is an accessible book if you are interested in vegan food and life and it is made easy by handy lists with alternatives to animal products, lists for filling your kitchen cabinet and lists of vitamins and minerals. How do you survive as a vegan in a non-vegan world? That explains Lisa in 10 steps with a good dash of humor. Get acquainted with the book The Vegarevolution by the recipe the No Meatloaf to make. I have chosen the Pita with hummus and sautéed vegetables to make. The hummus I made it myself and grilled the vegetables. The combination of humus and different grilled vegetables was delicious and I had a tasty and healthy sandwich in less than 15 minutes on the table. My next recipe will certainly be the Quinoa bean burger with homamade joppy sauce. Lisa Steltenpool also wrote: Kickstart to an energetic and healthy lifestyle. 150 feel-good recipes for breakfast to dinner. Our expectations are immediately high. It is the subtitle of the versatile cookbook Cereal, legumes & seeds. Written by Molly Brown, who in her introduction calls "just go try! Or as the English say: "the proof of the pudding." We leaf through the book with anticipation. The most delicious dishes will laugh at you. What do you have to start with? The menu committee today consists of my wife, our adult son and myself. We expect a sunny day today and the borletti beans have been soaked for a night, so we think of a quick salad for lunch. First we look at the back of the book. Perhaps the registry can quickly lead us to a delicious recipe. That is not easy, so we leaf through it. Our eye falls on the Cannellini salad, which you can also make with borletti beans. Tasty, tuna, anchovies and sundried tomatoes. The result is a delicious summer lunch salad, which we slowly enjoy under the parasol with a glass of wine. We find the book highly recommended, because it is full of healthy practical recipes for every day. Tried out: Eating the book from the allotment garden is a great book for people who love cooking and gardening. Growing your own vegetables and legumes and processing this in the tastiest recipes is all described in one book! 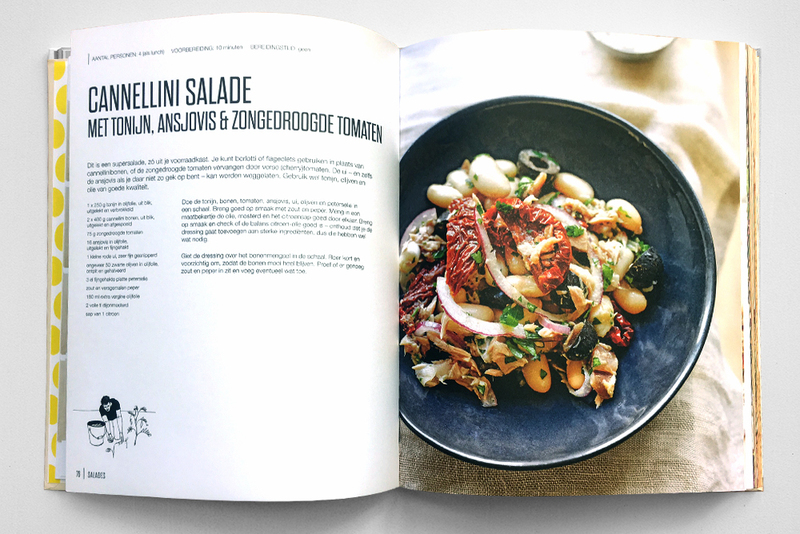 The book is divided into different seasons with the accompanying vegetables and legumes. With each product there are tips and is always supplemented with a delicious recipe. The recipes vary from salads to desserts and cakes. 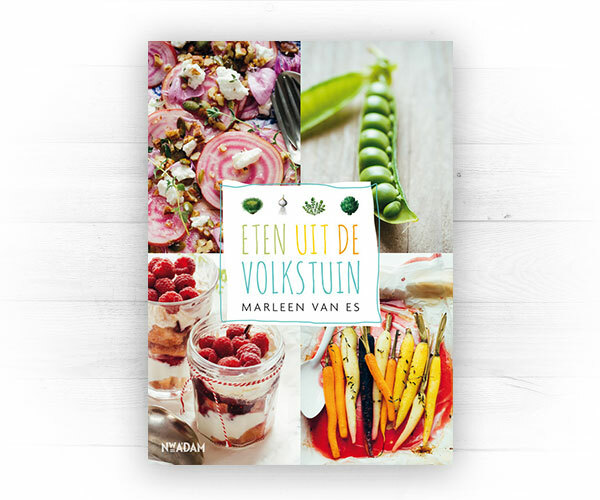 In addition to the recipes, the Marleen van Es cookbook also contains great tips and interesting facts about gardening. Are you not only curious about tasty recipes but also about how you can best grow your own products? Then this book is definitely worth browsing! Which recipe appealed to me the most? The lentil burger. A simple dish that not only looks tasty, but also tastes very good. These kind of 'healthier' citizens are becoming increasingly popular and certainly worth a try! After seeing the photo, everyone gets a appetite for such a nice burger? 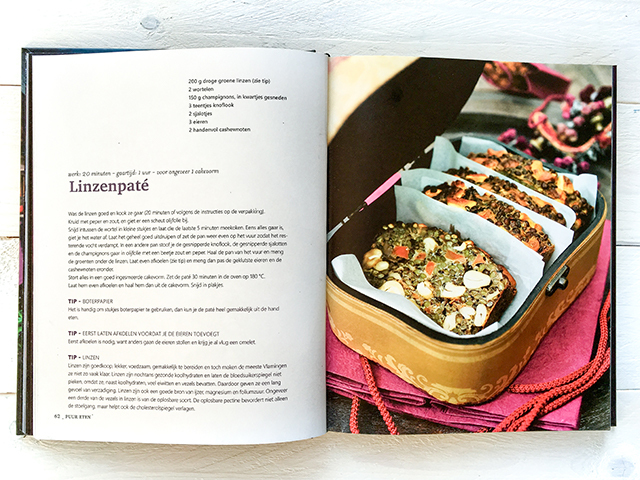 Tried out: Jenny Chandler's Pulses book is great if you like variety in the kitchen. 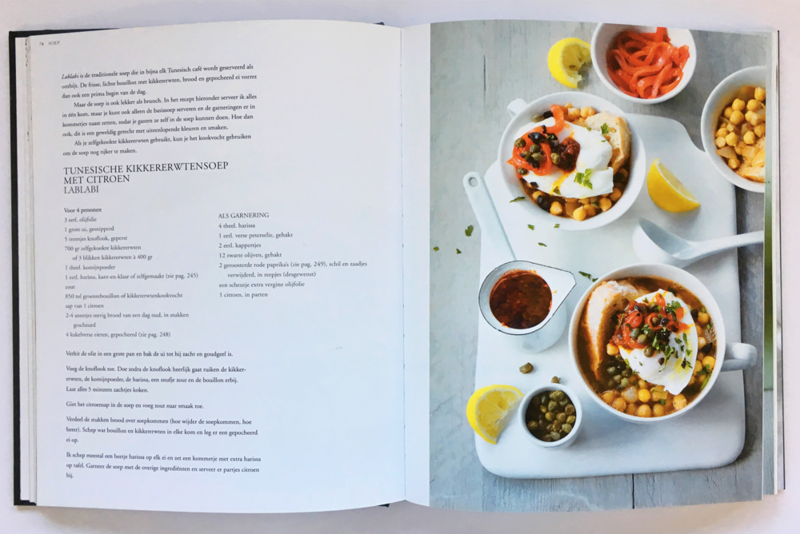 The book not only contains delicious recipes, but also explains why legumes are not only better for humans, but also better for the environment! The book is divided into different categories. Think of soups, salads, side dishes, snacks and even sauces and salsas can be found in this book. There are average recipes but also lesser-known dishes which makes this book so different from other cookbooks. Would you like to try a traditional Turkish dish with roasted vegetables and chickpeas or Indian stuffed pancakes once? The whole book is filled with this kind of recipes. 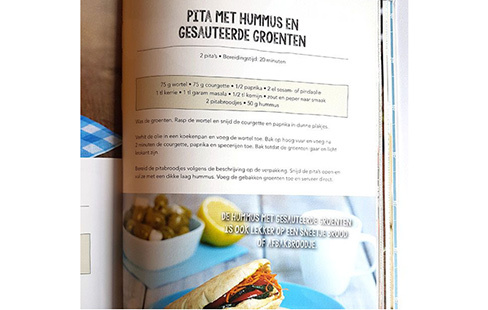 The well-known dishes have also been given a place in this book; hummus and falafel for example. Jenny does add a number of variation recipes with which you give the familiar dishes a nice twist! This book is a great addition for anyone who loves cooking. Which recipe appealed to me the most? The Tunisian chickpea soup with lemon. Maybe it's because I'm a real soup lover, but when I look at this photo I get a draw! This traditional soup is called Lablabi and is served in almost every Tunisian café for breakfast. It is a light broth with chickpeas, bread and a poached egg. 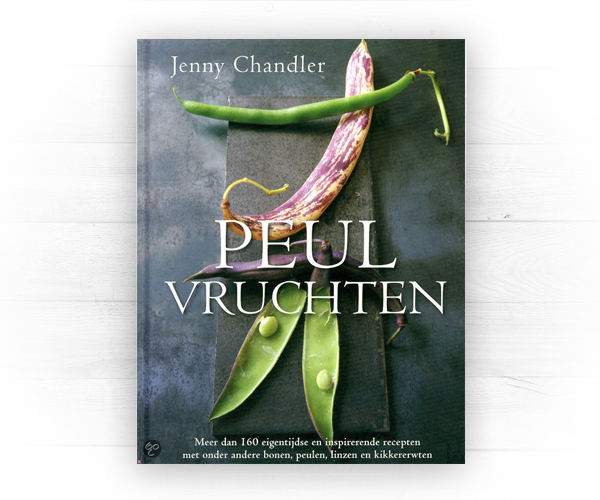 This special world cuisine makes the book Legumes from Jenny Chandler so special. 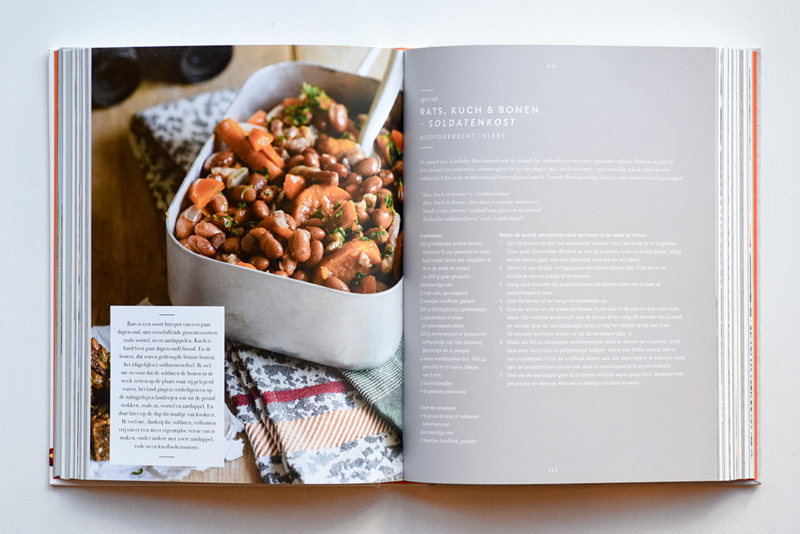 Order the book Legumes from Jenny Chandler here. Tried out: In the book Beans! 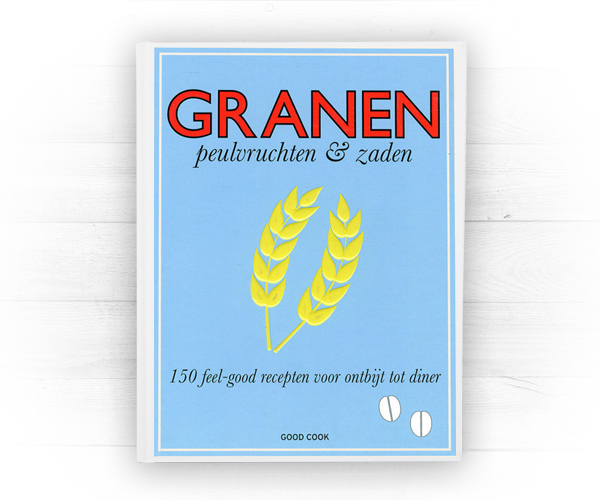 gives Joke Boon a tasty, sustainable, inexpensive but above all protein-rich solution to eat in an environmentally and animal-friendly way. Not only the title says it, but the front of the book also exudes beans. The cover is richly illustrated by the different, colorful legumes in pots. 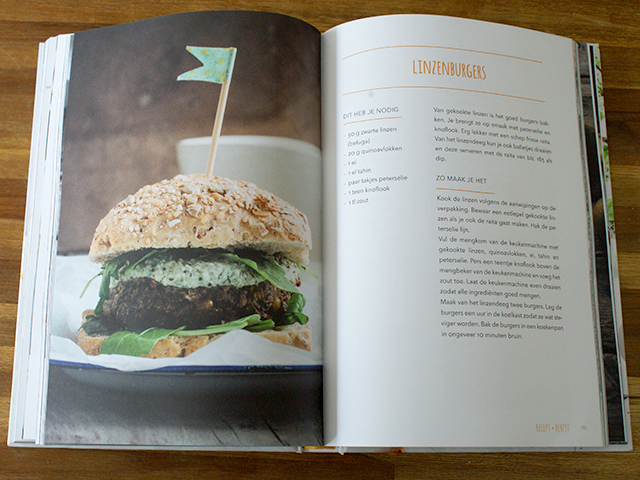 The whole book is full of delicious recipes and fun stories with legumes as a theme. 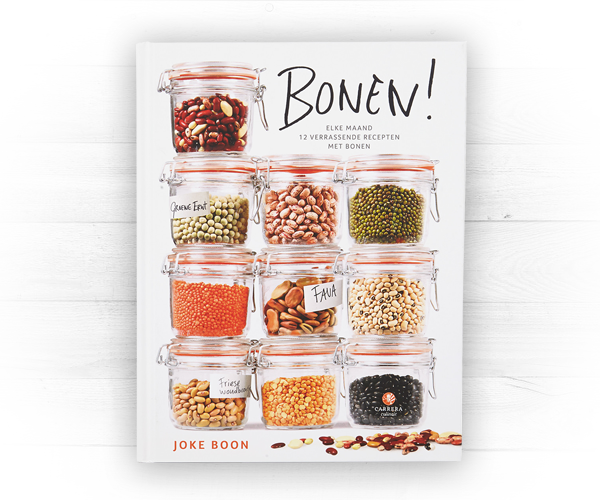 Joke Boon has divided the book into months and gives for each month a number of delicious, matching dishes for that season. And every recipe is also 'hung' on a part so that a recipe for a lunch or dinner is not long to search. The nice thing about this book is that the lesser known legumes have received a special place. Joke Boon not only explains in which recipes they fit but also tells the background of the bean and the story of the growers. Which recipe appealed to me the most? Rats, cough & beans - soldiers cost, an old-fashioned soldier's court. This recipe can be found at the month 'May'. Joke has chosen this because this month is the month of our national freedom. She also refers to the title of the recipe, a title of a soldier song that was sung by and for soldiers. Precisely this kind of stories with matching dishes makes the cookbook Beans! from Joke Boon so special.